Parents and Teachers of Bilingual Kids, Make Books and Reading Your Highest Priority! Though I no longer teach at Hiroshima International School, I return there every year, with my family in tow, for the school’s annual spring festival. For me, my main motivation—apart from seeing old friends—is the sale of used books: children’s books of all kinds, from the school library and students’ homes, at rock-bottom prices. I practically start drooling as I paw through them. Each year I come home with dozens of books for our home library: books I can read aloud to my kids at breakfast, books we read together for “shared reading” (taking turns, page by page), and books they can read on their own. The truth is, if you stepped inside my little house, you’d probably laugh: It’s bursting with books, to the point where there really isn’t room for them all. Our bookshelves overflowed long ago and there are now piles rising from the floor like sunflowers. “You can never have too many books!” These seven words basically sum up my view of language education since I first became a teacher of bilingual children 20 years ago. Books and reading—lots of books and lots of reading—became my main ally in nurturing language development. During my time at Hiroshima International School, I flooded my classroom with books and read often to my students. And as I watched their English ability grow, I realized that this same approach would become the cornerstone of my efforts to one day raise bilingual children of my own. I would flood the house with books in the minority language and make reading a daily staple of my family’s lifestyle. I have seen the rewarding results of this “method” in my own personal experience, but in fact, there is also prominent research which indicates that a correlation between the number of books in the home and a child’s language development and ability, as well as academic achievement and even career success, is evident in countries and languages around the world. At the same time, they gathered background data on these participants, such as the parents’ level of education and occupation, and their own schooling and work. What does this research reveal? It demonstrates—even given the parents’ level of education and occupation, as well as such factors as gender, class, nationality, political system, and gross national product—that the impact of books is the same throughout the world and throughout many generations: Children in families with a home library of 500 books or more experience significantly greater educational success. On average, these children pursue their education for 3.7 years longer than children in homes with few or no books. Although this study was concerned more broadly with books in the majority language of each nation, and success in schooling, there are important implications for parents seeking to support the minority language of their bilingual children. After all, success in schooling is a direct outgrowth of success in language development. Build a home library of books in the minority language—the bigger, the better. Even if you don’t own 500 books (both children’s books and books for adults count! ), the more books you have, and the more you make use of those books by reading aloud to your children each day and reading together, the more your children’s language ability will grow. And, as the study suggests, the language-related “tools” that your children will gain in the minority language will also be a source of support to them when attending school in the majority language. For example, the knowledge about the world that my kids have gleaned from our English books at home serves them well when studying similar topics in Japanese. Create an environment of bookshelves and books, not simply digital readers and e-books. One important reason I haven’t yet shifted much from “real books” to e-books is because real books, in my view, provide a richer environment for the senses. It’s true, we’re slowly getting buried in books here, but the fact that my kids are surrounded by them (and stumbling over them), day in and day out, makes books and reading a way of life. For the sake of my children’s language development, I want our home environment to support my aims, and I think emphasizing books that are tangible and tactile, as “public things” always beckoning to the eye, is a more effective course during their formative years. In other words, if you build a large library of books in your home, your children probably will, too, when they’re adults! And if your children do, your grandchildren will do the same for their kids! And so it goes, generation after generation, a love of language and literacy—and stronger language development—handed down far after your time. Adapted from the book Maximize Your Child’s Bilingual Ability: Ideas and inspiration for even greater success and joy raising bilingual kids by Adam Beck, founder of the blog Bilingual Monkeys and the forum The Bilingual Zoo. Adam has worked with hundreds of bilingual and multilingual children, from toddlers to teens, as both a classroom teacher and a private tutor. He now lends support to many more families, in all parts of the world, via his book, blog, and forum. He has lived in Hiroshima, Japan since 1996 and is raising two bilingual children in Japanese and English. How many books do you have in your home library or classroom library? Could strengthening this library help strengthen the language development of your children or students? Please add your thoughts below. Today’s spotlight language is Nepali. Below, we offer background and interesting facts about the language, as well as information to help you find Nepali books. Nepali is the official language of Nepal, a country in South Asia. It is also spoken in Bhutan, Burma (Republic of the Union of Myanmar), and India. There are about 17 million Nepali speakers around the world. How Many People Speak Nepali in the US? 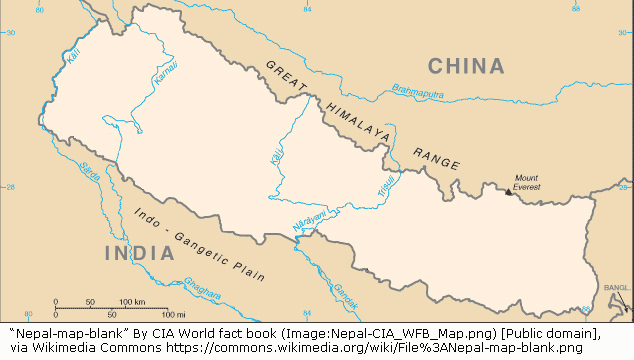 There are relatively large Nepalese communities in New York, California and Texas. According to the US Census Bureau’s most recent estimates in 2014, over 120,000 people in the US identify as Nepalese. Of these, about 25,000 are school-aged children. In the past, Nepali was called the Khas language and Gorkhali. Teachers frequently ask for suggestions on some of the best bilingual Nepali books for children. Here are some popular and engaging stories with text in both English and the Nepali language as well as a Nepali English dictionary for children. Do you speak Nepali, or know someone who does? Comment below and share your interesting language facts! This article by Breeana D. from takelessons.com is full of fun games that will get kids excited about learning a new language. Although it focuses on Spanish, these ideas can easily be adapted to any language! Learning Spanish can be difficult, especially for kids. From complex grammar rules to difficult vocabulary words, there are a lot of tough concepts kids must learn. While difficult, learning Spanish is well worth the time and effort. After all, learning a second language greatly increases a child’s cognitive abilities, improves his or her memory, and broadens his or her horizons. So how can you help your child stay motivated while learning Spanish? It’s easy; make learning fun by incorporating exciting games into their practice routine. At TakeLessons, we’ve come up with 15+ fun and educational Spanish games specifically for kids. These games will help your child learn important concepts, while keeping him or her fully engaged throughout the learning process. This game is the Spanish-version of the popular children’s game, Simon Says. Choose a student to take on the role of “Diego” and have him or her issue commands to the group in Spanish. For example, “Diego dice, toca la cabeza.” (Diego says, touch your head). Players are eliminated from the game by either failing to follow an instruction or following an instruction that doesn’t include the phrase “Diego dice.” This is a great game for teaching kids common commands in Spanish. This game is the Spanish-version of another favorite game, Charades. First, take a set of index cards and write down different Spanish verbs; for example, bailar (to dance), correr (to run), and comer (to eat). Then, have a child choose a card from the pile and act it out in front of the group. The group will try their best to guess the Spanish verb the child is acting out. This game is a win-win for everyone, as it helps the “actor” and the “viewers” memorize common verbs. A fan favorite, Who Am I? is a great game for learning conversational speak. First, write out a list of famous individuals on a set of index cards; for example, Taylor Swift, David Beckham, Pablo Picasso, etc. Have the child choose a card from the pile and tape it onto his or her back. Then, have the child take turns asking questions in Spanish about who she or he is; for example, “Am I male or female?” “Am I old or young?” After generating enough clues, the child will guess who he or she is. For the full list of 15+ Spanish games, click here. Using games to reinforce important language concepts is a great way to keep kids engaged. Next time it’s time to practice, try playing any one of these games with your child. This article originally appeared on TakeLessons.com, an online marketplace that connects thousands of teachers and students for local and live online language lessons. Think of any holiday celebrated in any part of the world, and there is sure to be at least one traditional dish associated with it. Thanksgiving turkey, curry on Boxing Day, or rice cakes for Chinese New Year… Food is the cornerstone of any celebration. In an article that explores the relationship between food and culture, writer Amy S. Choi says, “Food feeds the soul. To the extent that we all eat food, and we all have souls, food is the single great unifier across cultures.” She says that to understand a culture’s food is to know the story of their identity, survival, status, pleasure and community. Another article on parents.com delves into the oftentimes surprising history behind many traditional holiday dishes, like Christmas fruit cake and Hanukkah latkes. Did you know sweets are eaten during Diwali to symbolize the defeat of evil and the triumph of goodness and light? Yum! Let’s Eat! – Meet children from around the world and explore their foods and eating traditions. This story explores the rich diversity of children’s lives and develops a worldwide perspective. Grandma’s Saturday Soup – Every day something reminds Mimi of Grandma’s special Saturday Soup and the tales her grandma tells. Delightful descriptions of Jamaica, accompanied by vivid illustrations, will make us all wish that we had a grandma like this! Buri and the Marrow – In this famous Bengali story, an old woman travels through the forest to meet her daughter. On her way she meets a fox, a tiger and a lion, and she must come up with a plan to outwit them. Alice & Marek’s Christmas – It’s Christmas Eve and everyone is getting ready. This story explores the different ways people celebrate around the world. There are recipes and activities in this beautifully illustrated book that takes us to the heart of Christmas in Poland. Deepak’s Diwali – This warm contemporary story is interwoven with beautifully illustrated images from Hindu mythology. The book is packed with recipes and activities for the whole family to enjoy. Samira’s Eid – The first sighting of the new moon starts a day of celebration for Samira and her family. The Ramadan fast is over and now it is time for prayers and presents. A surprise visitor brings a mysterious present and has an unusual story to tell. Great for teaching children about Islamic holidays and culture. Li’s Chinese New Year – It’s nearly the New Year and Li can’t figure out what animal he’s going to be in the special school assembly. Will he be a fierce tiger or a strong ox? Find each of the 12 zodiac animals on your way through the story, and discover facts and activities relating to the festival at the back of the book. The Giant Turnip – This traditional story is set in an inner-city school where the children have grown an enormous turnip! How can they pull it out? They all try together but the turnip will not budge. Who will save the day? Lima’s Red Hot Chilli – Take one hungry little girl, six different tempting foods and one shiny, delicious red hot chilli. One big bite results in a spectacular display of fireworks. Mom, Dad, Aunt and Grandad all come to help, but Lima’s mouth is still too hot. Who can rescue her? Just enter code FOOD15 during checkout to receive 10% off these fun, holiday food-themed titles, now through December 31, 2015.